Augusta National is golf’s Holy Grail. Navigating the azaleas to play the exclusive course that hosts The Masters is a pipe dream for every golfer. Imagine being afforded the opportunity not only to play the course, but to be able to bring your father along for the ride. To complete the priceless fantasy, Jack Nicklaus—“The Golden Bear”—hosts the round. Through fate, coincidence and good fortune, Joe Wessel managed to find a way to make that happen. 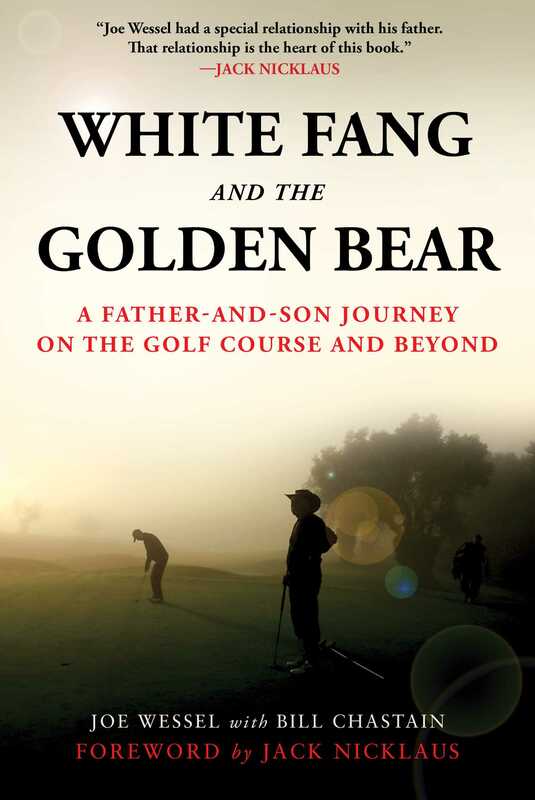 In White Fang and The Golden Bear, Wessel recounts that special round, how it came about, and what happened on the pristine grounds of Augusta National. With the help of veteran sportswriter Bill Chastain, Wessel's memoir offers the touching story of how the game of golf helped in the development of a special father-son bond and how that relationship grew first throughout Wessel’s childhood, then during his tenure as a football player-turned-coach, and finally once he was a dad himself. This book offers the perfect father-son story for any sports aficionado! Joe Wessel is currently a national sales manager for private client banking at RJB. A former defensive back at Florida State, he holds FSU and NCAA records for most blocked punts in a game (2) and most touchdowns scored off blocked punts in a game (2) and in a season (4). Wessel was an assistant football coach for 13 seasons, at the college and NFL levels. He is married to Mary Gayle Hamilton and has two sons. Wessel currently resides in Tampa Florida. Bill Chastain began his journalism career as a freelance writer shortly after graduating from Georgia Tech in 1979. Chastain is the author of Payne at Pinehurst: The Greatest U.S. Open Ever; Steel Dynasty: The Team That Changed the NFL; and Hack's 191: Hack Wilson and His Incredible 1930 Season. He currently covers the Tampa Bay Rays for MLB.com.